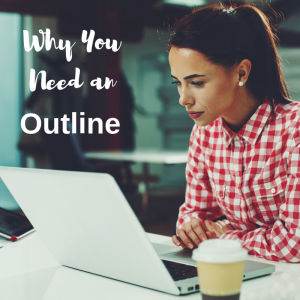 Whether you’re writing a blog, book, or anything in between, you should start with an outline. If you have the urge to skip that step and just start writing, I understand. People either love or hate outlines, but it’s important to know that this extra planning almost always makes a big difference in quality. The people who hate outlines usually think of them as extra work. Why spend time writing an outline when there’s so much other content you need write? I used to feel this way about outlines. I thought that planning my content stifled my creativity by forcing my writing around certain parameters instead of making it an organic process. So I’d write whatever came to mind, and then I’d edit it. And then I’d edit it some more. Over the years, I’ve changed my approach. After working with many clients and reviewing their drafts of articles, blog posts, book chapters, and even whole books, I noticed a trend. The people who started with outlines always had better drafts. After getting to know these clients and becoming more familiar with their writing, I realized that they weren’t more talented writers than my other clients who refuse to use outlines. They just had a better sense of direction on where they were going and why. Some of my anti-outline clients are fantastic writers. They have moments of brilliance in their writing where a couple of paragraphs will totally blow me away. But then the rest of the piece won’t fit with that, and the flow won’t quite work, and it’s unclear exactly what points they are trying to make overall. And because of that, we usually end up doing a lot more editing and rewriting than people who start with outlines. Instead of thinking of an outline as a plan for what you’re going to talk about in your draft, consider it a guide for what you’re NOT going to talk about. As you’re writing, it can be very easy to go off on tangents that take your reader in confusing directions. This is especially true when you’re working on a long-format piece, like a book. When you have a detailed outline of the whole book, you’ll be much more conscious of when your chapter draft starts encroaching on another chapter’s territory. That will allow you to course-correct your writing before you waste too much time veering off in the wrong direction. Even for shorter pieces, having an outline helps you realize when your writing is going off topic before you spend a lot of time writing about something you didn’t actually want to focus on in that particular piece. Having this insight is hands down, the biggest benefit of having an outline. When I started creating solid outlines before writing drafts, I found that my first draft would be in a much better place than with free-form writing. The process might not feel quite as freeing and creative, but I ultimately work faster and I do better work. That’s why I now save free-form writing for my journal. It might be a struggle to create a solid outline, but you can take comfort in knowing that it will be one of the hardest parts of the writing process, and then it will be over. Once you know exactly what to write about, doing the writing is easy.